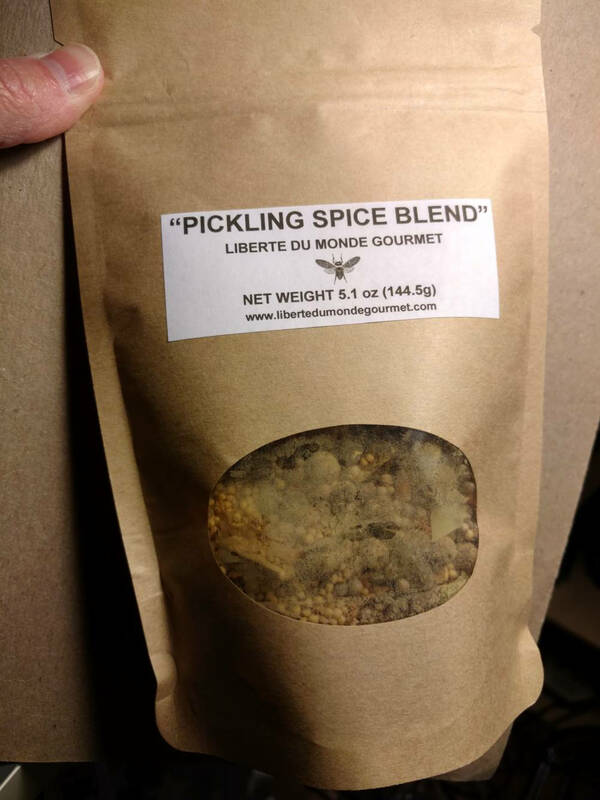 Pickling Spice Blend is a traditional blend of herbs and spices used for flavoring vegetables during the pickling process. Simply add a tablespoon of the blend to each pint. 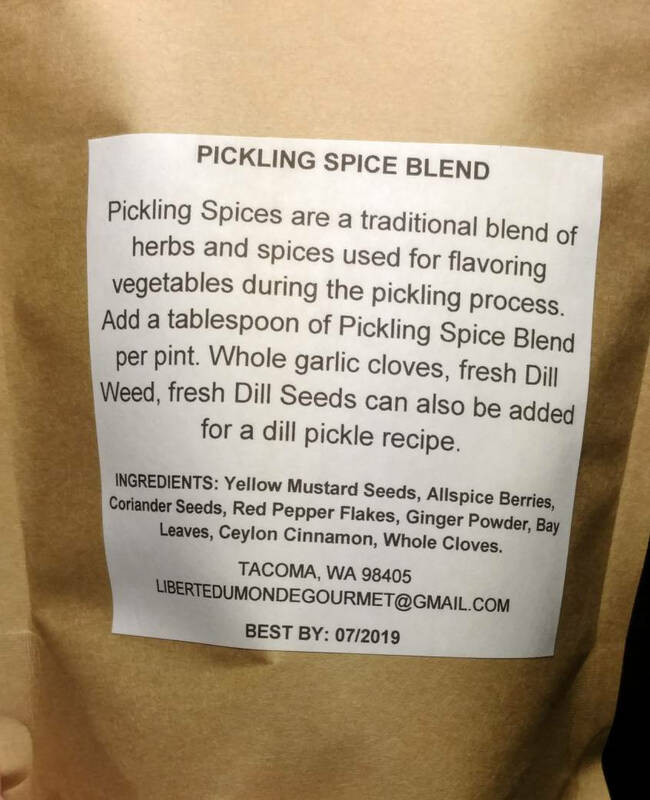 Whole garlic cloves, dill weed or dill seeds can also be added for a dill pickle recipe. 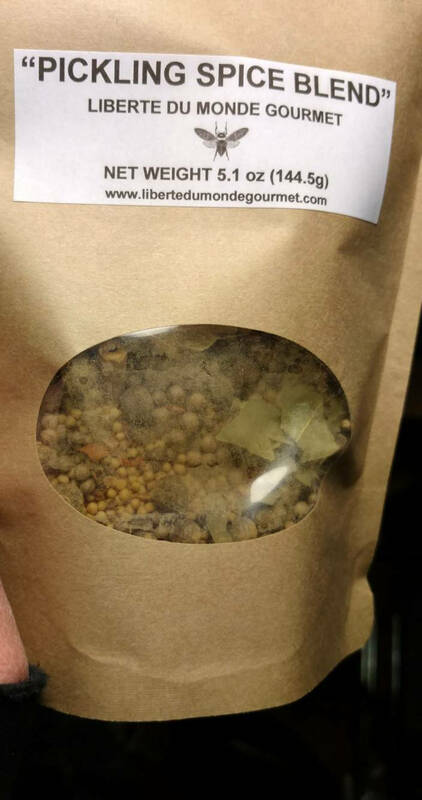 It is 100% natural, salt free and pesticide free. All of the packaging and ingredients are sourced from small, independent or family owned businesses. It is packaged in a food safe resealable kraft paper stand up bag.